Written 1993. Updated: 17 July, 2014. Community Ways for Healing the World draws upon a long oral history tradition within the East Asia Oceania Australasia Region where centuries of personal and interpersonal experience of healing wellness action has been passed on between many people as news, rumours and stories of healing action that worked. Many of these stories have been collected in forming and re-forming this Page. Information may be copied and used with acknowledgement of UN-Inma and this site for non-profit purposes. UN-Inma is a self-help group emerging in the early 1970s in Far North Queensland, Australia. One of this mutual-help group’s foci and fields of action is what is termed Intercultural Normative Model Areas (INMAs) being evolved by Unique Nurturers – hence Unique Nurturers - Intercultural Normative Model Areas (UN-Inma). Dr Neville Yeomans founded Fraser House in 1959 as an INMA. This Therapeutic Community Unit was a precursor to UN-INMA as was the many Self-help Groups that Dr Yeomans helped energise in Sydney in the late 1960’s and early 1970’s. The letter published in the first edition of the Therapeutic Communities Journal titled ‘From the Outback’ refers to UN-INMA’s early days. To encourage a feel for the happenings described in this page, the present tense is often used so that the wording may describe things from the past as if they are actually happening as you read them. In this Page the word ‘healing’ is used in the original sense ‘to make whole’. o Their interconnecting with their world in general. 'Wellness' may be defined as a generalized self-perception based on the individual’s sense of participation in and enrichment from life. This generalized sense of wellness is a function of the relative significance of the various blended wellness domains and the nature of these blendings - their various interconnecting, inter-weaving, inter-meshing, inter-mingling, inter-depending, inter-locking, inter-twining and inter-lacing - physical, psychological, mental, emotional, intellectual, social, spiritual, habitat, geo-social and links to space, locality and place, economic and environmental domains. Wellness involves plexus - Latin from plex - past participle stem of plectere (‘plait, interweave’) – hence network or interwoven mass. With all of the foregoing, on may become a connoisseur of wellness. The solar plexus is where we have gut feelings of where we are in the wellness spectrum. A person's self report is the best predictor of wellness and only they know when they do not have wellness. Current biomedical and sociological evidence indicates that self-assessment of wellness is the single biggest predictor of actual wellness. Therefore, the importance of stating emphatically, that the person is the authority on their own wellness, while the western-trained ‘expert’ remains an authority on pathology and disease. It appears very germane to emphasize that authority for reconstituting wellness is logically in the hands of those who define (express the essential nature) and are responsible for wellness: again the local people themselves. The experiencing of wellness is being well - wellbeing. The foregoing recognizes that having health is very different from having wellness. Being well is very different to being in good health. One can be healthy and unwell and vice versa. Many of the healing wellness ways involve exploring how we move, and balance, and breath, and use our senses and awareness – and all cultures share these in common. The communal wellbeing action spread throughout this material has been thousands of years in the making - passed down by Indigenes, Unique People, Disadvantaged Small Minorities and interculturals from far spread cultures who respect and celebrate difference. New stuff merges. Living in essential harmony with natural process, tribal people may live for thousands of years with balance – mindbody balances with geo-social balances. Eco-destruction by Homo Aggressans calls forth a cry for a return to balance. Healing action IS taking place. Homo Amans (loving nurturing people) look for kindred spirits. Link with them. Share what works. Let us know what you are doing and what works for you. In a time racked by inhumane governance globally, there is in the Laceweb a drawing upon the nurturing healing ways of the ages for the unfolding of humane caring possibilities. A plexus mass of nurturing folk are forming throughout the margins spreading like mushroom mycelium under the ground. The following resource may provide a rich field of possibilities for you to play a part together with others. The following is reproduced from Laceweb Concepts and Frames. While we commonly experience the reality of everyday life, this, in important senses, may not a common reality. People from different cultures live in very different realities (refer Intercultural Realities). The differences between 'them' and 'us' are such that when we share space - both 'them' and 'us' together- it is possible for both peoples to enter and share a very different 'shared reality' that both groups play a part in constituting and constructing. And we both may bring our differences into this novel reality. And we may explore and celebrate this profound novelty. Refining our sensitivities and sensibilities in this new reality may extend awareness that we all share differing realities and this difference may be celebrated. This is a common experience, we’re told, of the Yolngu People of Northern Australia when Moluccas people (The Spice Islands) sail down to visit them for trade. Throughout the East Asia Oceania Australasia Region an informal 'Laceweb' has been evolving over the past 65 years among Unique People, Indigenes, Disadvantaged Small Minorities, and interculturals. The focus is local wellbeing mutual-help and self-help action by natural nurturers – refer Regaining Balance through Mutual-help. Integral energy is evolving Intercultural Normative Model Areas - INMAs. You may want to play a part in your own community. There is nothing to join. It's more a way of acting and being. We do things with others. We help ourselves. We notice what's missing in our wellbeing and take healing action. We locals, in this our place, are evolving normative model areas. We carry out small micro-projects as proof of what works. We share with locals and the like from other model areas. We self-organize. We may adopt and or adapt what works. We go for it. We play. We celebrate. Many people in the Region are already taking action to improve aspects of wellbeing. Many are searching for what they can do. The enclosed material may be a resource for you and your friends. It contains pen portraits of things that work. Included are ways of framing things and ways of acting. It may be possible for the wellbeing actions mentioned in this material to be transformed so they may be integrated with the local healing ways of your culture and community. So glad to see you again; our group could do with your energy. I’ve been wondering where you got to. I could see with your group there would be a few years of planning before you start anything. My friends and I know what needs to be done and we have started already. Making great progress! People are commencing to take back ability over their lives. They are re-cognising their agency – their ‘can do’. And they are getting on with transforming themselves and their world. Often they are simple things. A group of women massively affected by bushfires that killed many of their friends and wiped out whole communities begin coming to a small surviving community hall to share an hour knitting in silence. This humble simple activity meeting their needs - to share time in silence but for the sound of their clicking needles. Among the healing resources are micro-experiences - little bits that weave together and meld to work wellness wonders. Some of these are in a Laceweb Encyclopaedia called Healing Ways. The concepts and ideas are massively interconnected and linked - just like the Laceweb itself. The concept 'frame' is used in the sense of a border or edge, something setting something apart, creating a place and or context (*), something helping meaning and ways of looking, hearing, seeing, feeling and savouring; something framing the geosocial – cultural localities – people connected together connected to place. While involved with frames, boundaries and edges, wellbeing action may be seamless. There may be merging in diversity – cleavered unity. The later historical Timeline segment gives many examples of self-help and mutual-help actions at work - perhaps providing inspiration for what you may do. Common folk are involved in action research – doing things, noticing difference, and passing on what works. Throughout this page connections are extensively cross referenced. Alphabetical order within some sections may help you find things. Meander around. Follow threads. Enjoy. Perhaps you may want to explore themes with your friends while using this page and other Laceweb Pages as resources. Since the late 1940's an informal network of enablers and nurturers has been expanding up the East Coast of Australia. This energy has been evolving self-help and mutual-help action focusing on wellbeing. The expanding network is for many, called the 'Laceweb'. It embraces Unique People, Indigenes, Disadvantaged Micro Minorities and intercultural people in the remote areas of Australia and now active as far West as Pakistan, as far North as the Southern parts of Siberia and Mongolia and as far East as the Northern islands of Japan and Western Samoa - as well as right through the SE Asia Oceania region. Laceweb as wellness framed energy has a common theme of local people acting together - community mutual-help and self-help - to address the problematical in their local culture - as in way of life together. Almost every Laceweb action is unfunded as typically, no money is needed for the action. Increasingly funding may support the work. Throughout the Region micro healing acts is one form of humane community self-governance - enriching our lore in new ways of being together. In these places, what we are exploring here as ‘Laceweb’ may have no name. It may be happening under differing names. It in its various shades and nuances happens well un-named. The desert web is isomorphic (of similar form) with the Laceweb. The Laceweb appears out of nowhere. When you discover it, it already surrounds you. It is exquisitely beautiful. The play of light upon it in the morning sunlight is extraordinary. It extends way beyond the horizon. It is the manifestation of a massive local cooperative endeavour. It is suspended in space with links to shifting things - no solid foundations. It’s woven. It is not what it first seems. It is merged within the surrounding ecosystem. In one sense it is delicate - in another it is very robust. Bits may be easily damaged. However, to remove it all would be well nigh impossible. Local action may repair local damage. It is very functional. It is what the locals need. And it does help sustain them. This section outlines the developing of a little known social movement that commenced back in the 1940s. Known by some as 'The Laceweb', this is a new form of social movement now spreading throughout the East Asia Oceania Australasia Region. This movement focuses on evolving better social relating for wellbeing rather than having power as a focus. The foci and fields of action are not ‘against’ anything. One of the Laceweb movement's foci and field of action includes all aspects of psycho-cultural wellbeing fits well with Keyline way agricultural and environmental action – having both nature and human nature thriving. The Laceweb has some of its origins that may be traced to Percival A. Yeomans' 'Keyline', a process whereby water may be harvested by the cooperative action of farmers and very astute attending to land topography. Keyline was a precursor to Permaculture. In the 1950's, Percival Yeomans' son Neville Yeomans (see History) more fully appreciated that cooperative action using Keyline principles could be extended to embrace community healing. Any community in the World may be a place for wellbeing! Neville termed this extension of Keyline ‘Cultural Keyline’. For history, The Keyline Foundation Page includes the names of significant people originally on the Board of the Keyline Foundation. Within Laceweb Way, locals' action may extend to creating contexts, energies, and ways of relating with the potential to resolve and enrich every aspect of our wellbeing, including, communal, economic, emotional, family, habitat, physical, psycho-social, spiritual, in addition to environmental and agricultural wellbeing. Refer Government and Facilitating Grassroots Action. Keyline has now been adopted in most of the World's climate mixes with good results. No artist or artisan has such broad control of the medium through which he expresses his own character and personality as does the farmer or grazier in the control he can exercise over his land. The landman can create his own landscape, but the artist gives only his impression of it. From PA Yeoman. Challenge of Landscape 1958 – quote shown on the left wall in the photo below. 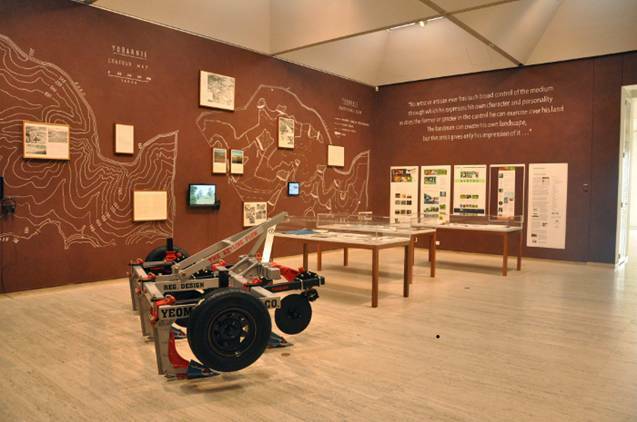 A Yeomans plough at the Yeomans Project Exhibition during Jan, 2014 at the Art Gallery of NSW in Sydney. Emeritus Professor Stuart Hill, renowned ecologist and social-ecologist gave a talk as part of the Jan 2014 Yeomans Project at the Art Gallery of NSW Yeomans. Hill has written that P.A Yeomans has been recognised as the most significant person globally in the past 200 years in the field of sustainable farming (Mulligan, M. and S. Hill, 2001. Thinking Like an Ecosystem - Ecological Pioneers. A Social History of Australian Ecological Thought and Action. Melbourne, Vic, Cambridge University Press). Neville's and others' action back in the 1950's are resonant with what has become known as 'social ecology' and 'deep ecology'; and their thought, resonant with eco-philosophy. 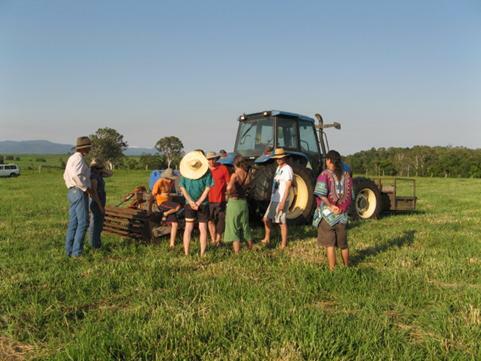 Neville Yeomans recognised that the communal mutual-help while engaging in self-help action farmers were using for harvesting and using water had the potential to change other aspects of their life together. This communal cooperating has intercultural mirroring in the cooperating of Balinese rice growers passing water to other rice growers on the terraced slopes from high on a volcano’s slopes down to the sea. Inspired by his father's work on Keyline, Dr. Neville Yeomans and others set out to explore mutual-help and self-help wellbeing action. They created contexts rich with possibilities, processes and potentials for resolving wellbeing issues at the local level. Their actions have resulted in the emergence of a new form of social movement that many call 'The Laceweb'. The Laceweb, while resonant with the eco-consciousness movement, has many unique features that make it very different from other social movements. Action has for the most part been in rural and remote places. However, some early action, for example 'Fraser House' (see Laceweb History Timeline 1960 - 65), took place in an enclave deep with-in main-stream systems. The Laceweb social movement, while having its early roots in rural Australia, has now spread throughout the East Asia Australasia Oceania Region where it manifests with cultural differences. Laceweb action is evolving processes that may have global relevance in resolving many of the World's major wellbeing issues. o Evolving thriving human nature relating well with thriving nature. o Working alongside and through global humane governance bodies (refer). The universal principle through which all things are interrelated and all natural events occur. The focus is using mutual-help and self-help in resolving all aspects of wellbeing. Many people may be linking and working within Laceweb framing for a long time before they realise it. The Laceweb is not something you join, or can join. It's more a way of acting, a way of thinking and a way of living. One observer described the Laceweb as 'smoke and mirrors'. If you try to 'grab' it, it's not there. However, if you have the right 'heart' - the nurturing heart - and you are seeking it, you may find it easily and discover you have been part of the Laceweb for years. and moral movement, or a feeling? is - what does it believe in? of human persons values, feelings, ideas and actions. It believes that these values are spiritual, moral and ethical, as well as humane, beautiful, loving and happy. it believes the nexus will cover the globe. And so Laceweb is alive and well in the hills in remote places. Here, as a 'robust delicate' (like the desert spider web) it may foster and grow. And throughout the Region this informal 'Laceweb' has been evolving since the 1940's among the focal people. An informal network of enablers and nurturers has been expanding. Most Laceweb people only know a minute part of the Laceweb. Some have a sense that it is extensive, although have no knowledge of who or where people are. And you may already be playing a part in enriching the wellbeing within your community and you may want to play your part in healing the World. The following may provide you with many possibilities. It is an inter-peoples (inter-Indigenous locales) social movement and action, a Laceweb of small minority peoples (primarily Indigenous). The focus is wellbeing mutual-help and self-help action. The region reached by the Laceweb has 75% of the 250 million global Indigenous population. Additionally, there are also links with and between threatened small minorities (embracing over 180 million people), for example, the Untouchables of India. Laceweb links have extended to include approximately half (90) of the Indigenous and small minority peoples in the region. The Laceweb area extends as far East as Pakistan, India, and Sri Lanka - extends North through Tibet, Southern Siberia, and Mongolia and further to the East, to Japan. Through the centre of this region the links extend to China, Laos, Vietnam, Philippines, Thailand, Myanmar, Malaysia, Sarawak, E Timor, Indonesia, West Papua, Bougainville, and through remote regions of Australia. The following is a list of some of the happenings within the Laceweb since the 1930's. The list indicates the holistic nature of wellbeing action. This list emerged from conversations with Dr Neville Yeomans in Bondi Junction in the later 1980s and for a time it was succinct and fitted on one A4 sheet of paper. All books mentioned may be available either in the Victorian State Library, the La Trobe University Library, Bundoora, Victoria, the University of NSW Library, the NSW Mitchell Library, the NSW State Library or the National Library of Canberra. This timeline may provide you many ideas about how you may enrich wellbeing in community with others as well as provide you a feel for what has been happening quietly around the hills. PA Yeomans has wife and first son Neville with him working as a mine assayer in remote parts of Western Queensland. 3 year old Neville wanders away from camp and gets lost. When found by an Aboriginal Tracker, little Neville is in a new death delirium from thirst and heat exhaustion. With profound connection to country, the Aboriginal knows how to find water fast in this dry country (at the base of the tallest ant mound near the tallest tree – the presence there of water underground is why they are the highest! The Aboriginal tracker cools Neville’s body temperature in the shade of a tree and slowly gives him water to drink. He then gently carries Neville back to the nurturing arms of Aboriginal women. It is in these caring arms that young three year old Neville forms his life work – having everyone on earth experiencing nurturing caring community. This launches Neville’s quest for evolving a new epoch on earth based on wellness being the normal experience of everyone. PA Yeomans is impressed by the Aboriginal’s knowledge of water in his dry land. He also sees how Chinese miners are able to flow water a long way by building water channels just off contour for moving water to where they want to use it in separating alluvial gold from other materials. Percival A. Yeomans: Keyline - Evolving holistic cooperating rural community wellbeing. Using the Keypoint (the deepest point of the head of the valley and the natural site for the highest dam) and Keyline (along contour line from the Keypoint) for gravity based water storage and use - what has come to be known globally within the Permaculture movement as 'water harvesting'. There are specific processes linked to land topography for finding the Keypoint and Keyline. Refer Keyline and Fertile Futures. Keyline lends itself for cooperative action among farmers in the same and adjacent valleys in harvesting and using water. Dams are strategically placed so that water may be stored as high as possible. Water may be passed back and forth between farmers in channels along contour lines. This allows the maximum use of the water that falls in the area. Gravity (as free energy in the system) is all that's required to get the water to where it’s needed. 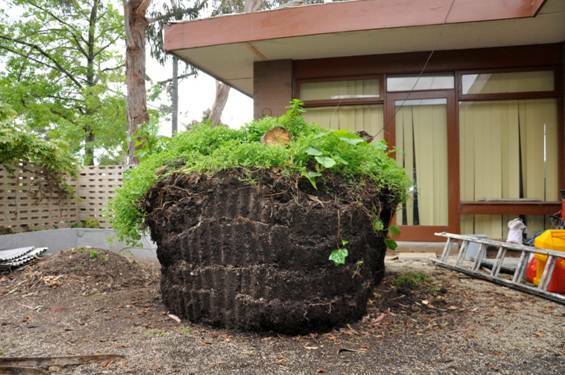 These simple concepts are combined with ways to generate new top soil. Already here is a hint about how we may use bio-mimicry (copying nature). How in social relating and mutual action may we tap into the free energy in the social system? Keyline processes are a precursor for Permaculture's development. David Holmgren, co-founder of Permaculture speaks of the Yeomans influence. P. A. Yeomans: Evolving of holistic wellbeing action embracing economic and environ-mental wellbeing along with community wellbeing. Dr. Neville Yeomans (eldest son of P. A. Yeomans): Extending father's model linking socio-emotional healing and family healing with the wellbeing of the land and water. PA Yeoman's book. Yeomans, P. A., 1955. The Keyline Plan, Yeoman's Publishing - Internet Source, accessed 19 Feb, 2014. Alongside, and resonant with Keyline Action, is evolving exploring of Therapeutic Community action with heartfelt linkings with Aboriginal and Torres Strait Islanders (ATSI), Australian South Sea Islanders (ASSI), and small non English speaking background (NESB) minorities in rural and remote regions of Australia. P A Yeomans: Book, 1958. The Challenge of Landscape: The Development and Practice of Keyline. Internet Source, accessed 19 Feb, 2014. Using the primary land forms - the main ridge, and the primary ridge and the primary valleys for harvesting water. P. A. Yeomans sets up a number of model farms using Keyline processes and has a steady stream of Australian and international visitors from the public and private sectors. Percival also assists many farmers to use Keyline processes on their farms. By the mid 1950s, PA and family were regularly playing host to large numbers of visitors to the twin farms Nevallan and Yobarnie who would come to see the thriving fertile of the farms. Farm Walks on Nevallan – From PA Yeomans, 1958. Challenge of Landscape. 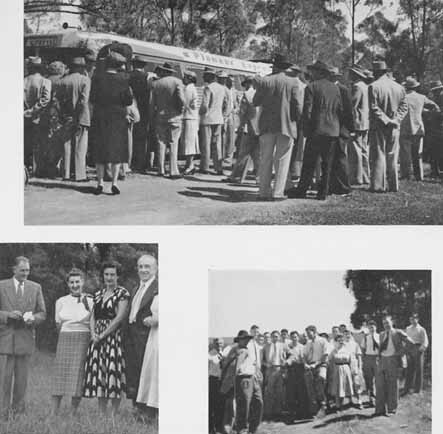 Upper: Party of Queensland farmers arrive by two specially chartered 'buses making a 1500-mile trip specially to see Keyline development on "Nevallan". There have been a number of such visits. Lower left (from left to right) : The author, Lady Hicks, the author's wife, and Sir C. Stanton Hicks, at "Nevallan". Lower right: Graduates in Agriculture from the Sydney University visit "Nevallan" following the author's address at their Graduation Ceremony mentioned in Chapter XIII. 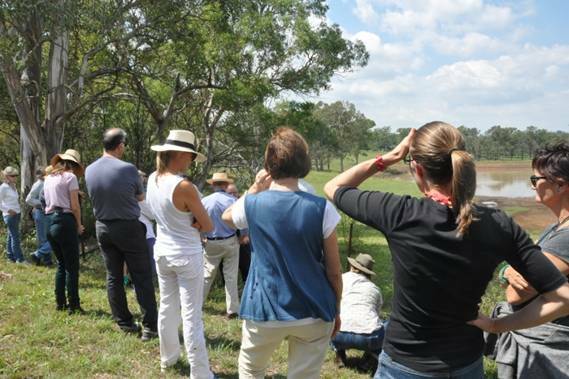 Farm tour of Nevallan at North Richmond, NSW in Jan 2014 as part of the NSW Art Gallery Yeomans Project. Keyline concepts begin to be adopted around the world among third world countries. The dominant culture in Australia adopts USA model of rapidly getting water off land into large storage (central control) - farmers then buy water within expensive powered irrigation systems. P. A. Yeomans warns of compounding salinity problems in Murray Valley. Keyline systems may be installed for a fraction of the set-up cost of traditional irrigation systems and, being gravity based, require no power to run. PA Yeomans processes create thriving soils with thriving soil organisms. Powerful interests want farmers to use superphosphate every year that kills soil organisms. In the driest inhabited continent PA demonstrated how farmers can site a series of strategically placed and inter-connected dams and keep them empty as far as possible so that the system is available to store water when it rains. Along with this, Keyline chisel ploughing, which differs strategically from contour ploughing, ensures that the surface flow of water tracks slowly along the flanks of the valley along the sides of the primary ridges on either side of the valley. This reverses the normal flow of water to the middle of the valley, often with eroding rush. This means that rainwater falling on the property can percolate slowly though the farm and down to other farmers at lower levels. Tapped pipes through dam walls means that gravity flow irrigation is possible to further distribute water so the dams are available to store the next rains. All makes a lot of sense! In 1959, Dr. Neville Yeomans (psychiatrist) initially is unaware of Maxwell Jones' (1953) resonant work in England. Yeomans sets up the Therapeutic Community 'Fraser House' within the NSW Mental Health System at North Ryde. Dr Neville Yeomans’ work has him recognised as one of four pioneers of Therapeutic Community in the World. Refer: Radio TC International, 2009a. Therapeutic Community Pioneers. Internet Source Sighted 23 Aug 2014. Fraser House, an 80 bed psychiatric unit, accepts severely mentally ill people balanced with an equal number of 'criminals, delinquents, addicts and sexual deviants' - in order to approximate dysfunctional society. There was an administrative block in the middle that also contained the room where Big Group was held. Then there was covered walkways to double story dormitory blocks on either side of the admin area with further covered walk way to a dining room at one end and recreation room at the other – a set of buildings spread over a quarter of a kilometre. From 1962 brief notes by Neville Yeomans it is evident that from the outset Neville was exploring healing ways for Global Reform towards a more humane World. Refer N. Yeomans, 1969. Mitchell Library Archives (NSW). Neville’s thinking – the best people to engage with in exploring new forms of social frameworks towards a new epoch are those who have had dominant system ways knocked out of them. Fraser House takes in all of the Aboriginal and Islander people within the NSW Mental Health System. In early 1960, 50 out of the 79 residents were Aboriginal and Islander. The Unit pioneers 'Primary-Group Therapy' (also using the terms 'Family-Friends Therapy' and 'Household Therapy'). A condition of inclusion in Fraser House is that significant members of the patient's family or friendship network have to be present at a certain number of 'Big Group Meetings' per week. These are held in the morning and early evening on weekdays. Fraser House Big Group was large group sociotherapy sessions (typically around 180 people). Refer Wounded Healer - Wounded Group for a brief introduction to sociomedicine and sociotherapy. Neville pioneered large group audience and crowd effects action research on whole-of-body-mind transforming within large groups in the process of transforming to wellness. Within Fraser House the expectation is that here people change fast so get on with your change-work. There’s no madness or badness here! Any glimpse of madness or badness will be immediately interrupted by staff patients and outpatients. All staff on duty, including the cleaners are required to be at Big Group meetings as a condition of employment in the Unit. No one is allowed to leave for any reason during the meeting (toilet facilities are set up behind a screen in the big meeting room.). All present, including all psychiatric and other staff, are 'in therapy' for the duration of the meeting. Warwick Bruen psychologist at Fraser House runs Parent Child Therapy Groups. Warwick goes on to be National head of Aged Care in Canberra. Neville establishes a therapeutic community Kenmore a large psychiatric hospital in Goulburn. Neville visits Kenmore and Goulburn Base Hospital and develops liaison between Goulburn Base Hospital and Kenmore. Neville engages in four days of continual supervision at Kenmore during one phase when he runs small and large groups in every ward of the hospital and delivered talks to all members of both staff and patients throughout the entire hospital’ (over 1800 people). A cost benefit analysis designed by N. Yeomans reveals the Unit to be cheapest and most effective compared to a traditional and to a very new 'eclectic' unit. Treatment results were followed for up to five years and this research showed that improvement results were maintained. Refer From the Outback. 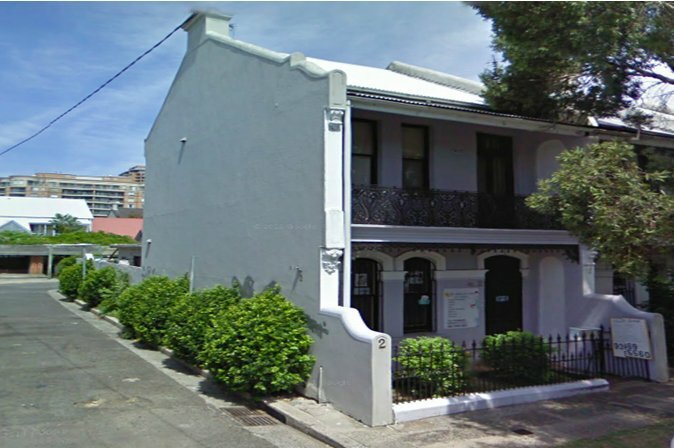 Fraser House becomes the NSW Therapeutic Community Teaching Centre for the NSW College of Psychiatrists. Fraser House becomes a model for the World and a powerful influence in closing mental asylums. No asylums have since been built in Australia. Neville stayed at Fraser House for just over eight years though withdrew from day-to-day affairs after 5 years to focus on devolving Fraser House Ways into the community. The Program lasted about nine years. Margaret Mead in an official visit to Fraser House when having a key role on Mental Health for the World Health Organisation described Fraser House as the most 'complete' therapeutic community she had ever experienced. Margaret in 1948 had been co-founder of World Federation for Mental Health and ex-president in 1956/7. ....given such a carefully worked-out structure, evolution is an inevitable consequence (Clark and Yeomans 1969, Forward, p. vi). A Psychiatric Study Group was set up by Neville in the Fraser House precinct. This group attracted students and professionals with backgrounds in social work, sociology, psychology, criminology, pastoral work, and prison systems. Participants found that the 'narrowness' and 'orthodoxy' of university and government departments meant that it was unwise to express novel ideas. They all found the Psychiatric Study Group a very fertile context for sharing the novel. Anything of relevance was immediately tried at Fraser House. Continual innovation and evolution was the Fraser House norm. Fraser House spawned many Healing Groups including 'GROW' which has expanded to become an international organisation. The NSW Epilepsy Association was initiated by families of ex patients, as were other self help bodies. As well, the presence of significant others in Big Meetings meant that contact was made, and in many case maintained, with extended family net-works. These networks became entwined with other Fraser House connected extended family net-works so that those arriving with a family friend network of five or less, left within twelve weeks with an extended family friend net-work of between 50 and 70 people, many of who were attending Fraser House as outpatients. This particularly applied to Aboriginal and Islander families where family links were extended to include people spread throughout Australia. Book published by A. Clark and N. Yeomans (1969): 'Fraser House - The Theory and Evaluation of a Therapeutic Community' - this book has since been cited by researchers in International Journal Articles. Professor Alfred Clark, who obtained his Ph.D. based on his 'Fraser House' action research, became head of the Sociology Department at La Trobe University in Melbourne, Victoria for 14 years later in his academic career. Terry O’Neill, head of Student Counselling at La Trobe University for a number of years in the 1970s had training in psychotherapy at Fraser House while Neville was Director of that Unit. Terry ran some of the children’s groups at Fraser House. N. Yeomans carried out value orientations meta-modelling research comparing Fraser House patient's values before and after they left Fraser House with a 2,000 person sample from respondents in three major Australian cities. This research was also widely followed up by other researchers. Fraser House psychiatric nurses were the first ones to achieve a professional award salary in Australia. N. Yeomans was a founding director of the NSW Foundation for the Research and Treatment of Alcoholism and Drug Dependency. Neville was also a founding director of the National body of the same organisation. He was also a member of the Committee of Classification of Psychiatric Patterns of the National Health and Medical Research Council of Australia. 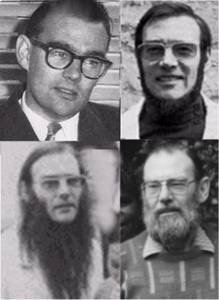 Neville Yeomans had tertiary qualifications in Biology, Medicine, Psychiatry, Sociology, Psychology and Law. Neville majored in International Humanitarian Law. Fraser House was a primary influence in the setting up of the Australian Community Mental Health system. Neville wrote the job description of Director of Community Mental Health and applied for the position and got it. Australia's first Community Mental Health Clinic was set up in Paddington NSW as a Laceweb initiative. 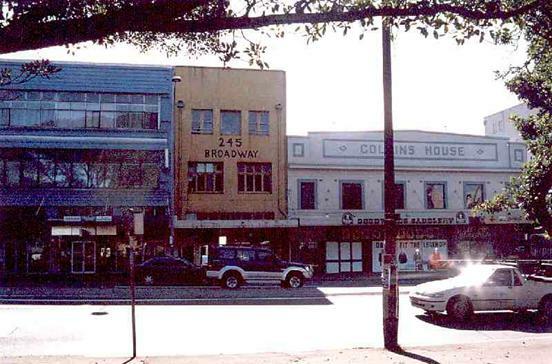 The Paddington Community Mental Health Clinic led to the Paddington Festival in 1969 and the commencement of the Paddington Market - another Laceweb initiative. The market was set up to surround the Clinic and provide a community context. Neville extended his role as Director of Community Mental Health in becoming NSW and Australia’s first Director of Community Health. Neville also set up domiciliary care visits where Fraser House patients very experienced and competent in therapeutic processes, who had not yet left the Unit, were going out in groups of six in a Volkswagen Kombi Van visiting ex-patients in their homes to provide support. This outreach was extended as a response Unit when people of Sydney rang a Fraser House Emergency Phone line. A group of six patients would attend and provide competent support. Neville influences set up of Paddington Bazaar. Mangold, in his book Paddington Bazaar, a delightful photographic record of the history of the Bazaar speaks of Dr. Yeomans being the primary inspiration for realising Reverend Peter Holden's dream of 'villaging the church' (Mangold, 1993, p4). Dr. Yeomans' suggestion was to surround the Paddington Community Mental Health Centre and the Church with a Saturday community bazaar. This was fully consistent with the Fraser House model of imbedding the Unit within the local community. Paddington Bazaar thrives as a Sydney icon to this day. 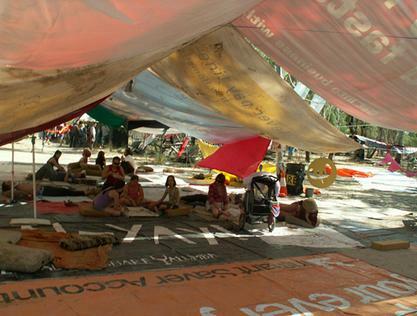 The Bazaar is a micro INMA – Inter-people Normative Model Area. This model of embedding mutual-help and self-help wellbeing focused action within everyday community contexts, and at times helping to constitute these contexts, is a core concept within the Laceweb. This model can be seen repeated throughout this Laceweb Timeline. P. A. Yeomans Book Water for Every Farm. Murray Publishing, 1965. Percival continues to have visitors and trainings at his farm and continues to assist Australian farmers. Links established with the Hawkesbury Agricultural College. Neville works closely with Tony Vinson a social science lecturer at University of NSW. Tony has his social science students researching within Fraser House. Tony is also involved in Neville’s Psychiatric Research Study Group. Tony goes on to become Emeritus Professor in the School of Social Sciences and International Studies, University of New South Wales. Tony is also a Professor at University of Sydney’s Faculty of Education and Social Work. 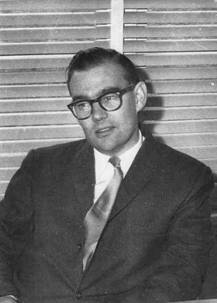 o 1971-1975 Foundation Director, NSW Bureau of Crime Statistics and Research. o 1975-1979 Professor of Behavioural Science in Medicine, University of Newcastle. o 1979-1981 Head, NSW Department of Corrections. o 1981- 1995 Professor of Social Work and Dean, Faculty of Professional Studies, UNSW. o 2001-2002 Chair, Independent Inquiry into NSW Public Education. o 2008 Founding member, Australian Social Inclusion Board. 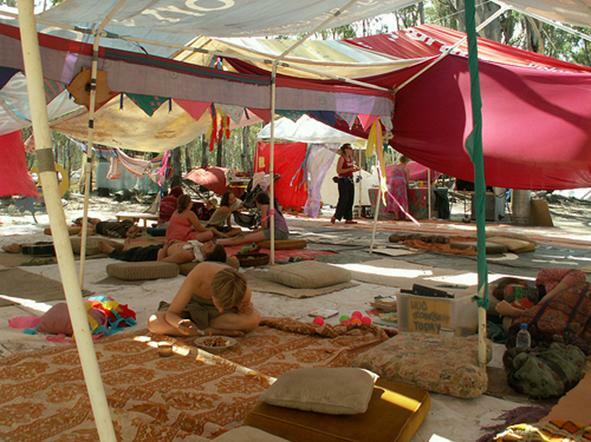 Pioneering Healing Festivals. 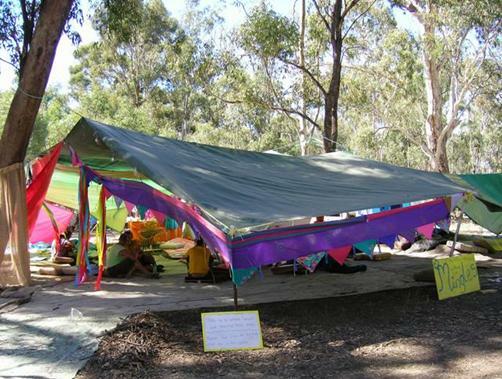 N. Yeomans, with growing Laceweb support, pioneers Healing Festivals in Australia as contexts rich with possibilities for building networks for self help action. The first ones were the Watson Bay Healing Festival 1968, the Paddington Festival and the Centennial Park Healing Festival, both in Sydney in 1969 (followed up with the Campbelltown Festival around 1971/2) and the Aquarius Festival in Nimbin, NSW in 1973. The Watson Park Festival following Laceweb enabling and enriching action by the Total Care Foundation and the Care Free Self-help Group, included the music and healing artistry of people from over 23 countries - a precursor of Laceweb intercultural healing action. · In the evening there was what was described as a psychedelic light display and pop band. Watsons Bay Festival was held in the Primary Valley in the Green Park running down to the shores of Sydney Harbour showing in the photo above. Neville set of the stage at the Keypoint. Note that the primary valley drops away from the main ridge that drops to the Pacific Ocean. Neville knew well that these cliffs were where Sydney people were going to suicide. Neville want to reframe the area as the place you go to celebrate life! Centennial Park Gathering. According to one journalist writing on the Centennial Park gathering, 'tough looking bikies mingled with old ladies and mothers pushed babies in strollers between crowds of sprawling hippies' (Sydney Morning Herald 13 October 1969). Enabling the healing potential of gatherings and festivals is another central concept within the Laceweb. Enabling Remote Area Linking. Linking between healers continues to be made throughout remote and rural regions of Northern Australia and the off- shore Islands. The Laceweb continues to grow as an informal network enabling mutual-help and self-help action. Small groups take local action. N. Yeomans and Terry Widders, an Australian Aboriginal from Armidale, enable a series of seminal 'human relations' gatherings in Armidale and Grafton NSW for Aboriginal and Islander people in 1971, 1972 and 1973. Some other Anglos also attend. The theme for the gatherings is 'Surviving Well in Relating to the Dominant Culture'. Major insights for the three Aboriginals came from 'witnessing white 'resource people' with 'emotional hang-ups''. They were 'most surprised to see that some white folk could be helped by Aboriginals'. Upon hearing that some aboriginal attendees had elected to skip the morning session and go wait for the local pub (hotel) to open intending to spend the whole morning getting drunk, Neville took the rest of the group down to the same hotel and then Neville went into high expressed emotion (the ‘emotional hang-ups’ referred to above) with sobbing and irrational despair about indigenous self harm in coping with the dominant system. The Aboriginals waiting for a drink went into support of Neville and the whole group (including those intending to get drunk) returned to the workshop. While returning to Bourke, one of the three extensively question members of different Aboriginal communities visited on the way. On their own initiative the three commence similar human relations gatherings back in their own communities in Bourke. The underlying group processes used by Dr Yeomans in the Armidale and Grafton gatherings were simple and easy to pick up. Local white teachers in Bourke have the first contact with adult Aboriginals when invited by local aboriginals to attend their Bourke Aboriginal human relations groups. In 1972, 34 Aboriginals from around Bourke journeyed to Armidale and 21 actively participated in another Laceweb human relations group. Many of the attendees at the Armidale and Grafton gatherings are now playing key enabler roles within Aboriginal and Islander communities. Eddie Mabo attended the Grafton Gathering. N. Yeomans and Terry Widders enable a series of 'human relations' gatherings in Alice Springs and Katherine in the Northern Territory. Evolving Laceweb links in this area continues till this day. N. Yeomans is a key enabler in the development of the Divorce Law Reform Society of NSW. Branches of the Society spread to other states. Dr. Paul Wilson, a criminologist, becomes Patron of the NSW Divorce Law Reform Society. Neville prepares a series of mediational sub-missions in his own divorce case - particularly the desirability of setting up family and individual counselling and family mediating processes. These writings, along with other submissions from the Divorce Law Reform Society, become a basis for submissions to Justices Evatt and Mitchell and play a substantial part in the formation of the new Family Law legislation. From these beginnings, the use of mediation has been growing in Australian society. In the early 1970s, Australia is a World leader in the use of mediation, especially relational mediation. Since the 1970s to the current times Laceweb action research has extended processes for relational mediating and peacehealing. Neville collaborates closely with psychiatrist Professor John Cawte (1925 – 2011) innovator in the field of transcultural psychiatry at University of NSW. Cawte’s mentors included anthropologist Margaret Mead. Cawte recognised earlier than most the important role of traditional healers, documented in Medicine is the Law: Studies in Psychiatric Anthropology of Australian Tribal Societies (University Press of Hawaii, 1974). This was followed by Cawte’s book, ‘Healers of Arnhem Land (UNSW Press, 1996). Cawte introduces socio-medicine in these writings. Cawte also draws attention to the devastating physical and psychological consequences of Aboriginals using white flour and white sugar. John Cawte invites Neville to join him in the transcultural unit at University of NSW though Neville does not take up this offer. Later Aboriginal Geoff Guest is to take up action research on the effects of white sugar and white flour in Aboriginal communities. Cambelltown Festival - 1971. 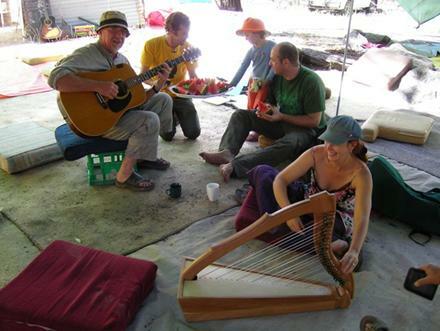 Alternative Lifestyles Gathering at P. A. Yeoman's Keyline Farm in Campbellfield NSW. Members of the cast, crew and orchestra from the Sydney production of the Musical Hair: The American Tribal Love-Rock Musical attended. On the final afternoon of the Gathering everyone was singing This is the Dawning of the Age of Aquarius and then attendees settled and discussed the evolving of a large Festival. The name Aquarius Festival was chosen. Neville and Ken Yeomans suggested Nimbin in Northern NSW be explored as a potential site for the proposed Festival. The Aquarius Festival happened in 1973 with somewhere between 5,000 and 10,000 attending. While living in Bondi Junction with wife Lien, and working as NSW Director of Community Mental Health and Community Health, Neville sets up the self-help group Mingles and links local wellbeing healers with university students from Africa and Asia studying under the Colombo Plan through Sydney University and University of NSW. Intercultural parties, Balls and other events are held. ConFest Mingles 2012 complete with Chandelier Feldenkrais experience. Also refer Therapeutic Communities in the World for Laceweb UK outreach. Aboriginal Human Relations Magazine. In 1971 and 1972 'Connexion' a Laceweb not-for-profit charity registered in NSW becomes the publisher of the Aboriginal Human Relations Magazine (AHR) started by Dr Ned Iceton in Armidale NSW. This AHR magazine reported on community healing action among Aboriginals throughout Australia. The collection of the AHR magazine is held in the Australia National Library in Canberra. Another Laceweb Functional Matrix Nexus Groups took over publishing the magazine for a number of months. 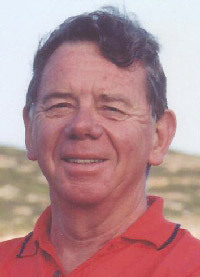 Ric Johnstone (1933 – 2012), a Laceweb person doing the publishing of the AHR magazine for Connexion was a key enabler for getting the Maralinga Royal Commission started on the aftermath of Nuclear Testing on traditional Aboriginal land in South Australia. 'Connexion's' name is changed to 'Nexus Groups'. P A Yeomans: Book. Yeomans, P. A., 1971. The City Forest: The Keyline Plan for the Human Environment Revolution. Internet Source, accessed 19 Feb, 2014. The book explores using Keyline in urban areas. 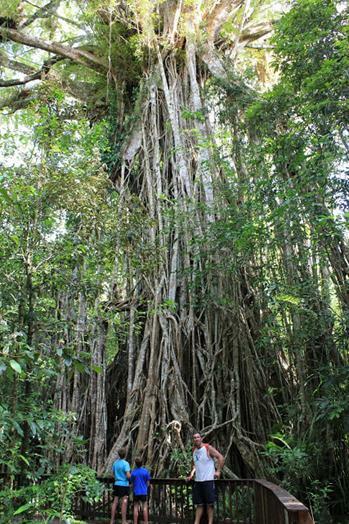 A City Forest project was evolving in the late 1990's on the Hawkesbury River. Global Conferences are occurring on Eco-Cities. An eco-city is a city evolving whereby both nature and human nature thrive. Eco-city projects are now evolving around the world. Davis, a city of over 160,000 people in America, has adopted many of 'The City Forest's' concepts including extensive edible landscaping and water harvesting in public places. This Landscaping is established and sustained by volunteer community mutual-help action. PA Yeomans with the Murray Darling Basin Commission prepare a Keyline Plan for the planned city of Monarto in South Australia – an early example of an Eco-City. Every aspect of the plan was guided by nature – land topography, natural surface flows of rain water, where the creeks were, and the like. All rain and grey water flowed into dams and then through city forests to emerge as clear water. 1971 – Neville sets up a Therapeutic Community House in Edge Hill, a Northern suburb of Cairns. This Therapeutic Community involved two adjoining flats above a drug support and referral agency. The Agency continually referred clients to Neville. Three or four people could stay at Inma. Neville held small therapy groups all the time at Inma with around 12 people attending. Aboriginal and Islander people attended. Rob Buschken sits in on Neville’s therapy groups and continues these groups after Neville shifts to living up in Yungaburra on the Atherton Tablelands. 1972 Both Neville and Vietnamese wife Lien described the decade in the Far North from 1972 as the hedonistic period of their lives, though on all accounts they had great parties in Sydney linked to the self-help group Mingles. Lien, in her book. ‘The Green Papaya’ describes their time in Cairns as one continuous party where she and Neville ‘entertained artists for fun, and social reformers and medical practitioners for favour’ (Yeomans and Yeomans, 201, p 108). Lien is a superb cook. Her book the Green Papaya is largely a cooking book on Vietnamese cooking with her personal life as a secondary thread. Lien founded and for time ran the widely acclaimed Green Papaya Vietnamese Restaurant in Brisbane. In 1969 the Law of Treaties introduced Cogent Law - 'a peremptory norm of international law (jus cogens)'. These norms include humane laws that even nations must not ignore. Again, in 1970 the International Institute of Humanitarian Law was founded in San Remo, Italy. A peremptory norm of general international law is a norm accepted and recognised by the international community of States as a whole as a norm from which no derogation is permitted and which can be modified only by a subsequent norm of general international law having the same character. Within Fraser House, processes ensured their lore – their way of living together and relating was up for continual reflecting within a norm and values based culture of continual adapting and improving, where the norms and values were an integral aspect of review. Norms and values were one of the staff discussion themes after every big Group. Neville sets up an Aboriginal and Islander Therapeutic Community house modelled on Fraser House in Mackay in NE Australia. Neville is the key enabler for this Mackay house. Dr. Paul Wilson, a well known criminologist and former acting head of the Australian Institute of Criminology in Canberra for nine years, devotes Chapter Six of his book, 'A life of Crime', to his personal healing experiences living within the Neville’s Mackay Therapeutic Community house (Wilson P., 1990). Wilson describes the positive changes that occurred within him during his stay. He also provides a portrait of Neville Yeomans and the breadth of Neville's vision for global Laceweb action. Evolving Laceweb in the Mackay area with links to Australian South Sea Islanders continues to this day. Aquarius Festival. Ken Yeomans (another son of P. A. Yeoman) is on the coordinating group for the first Aquarius Festival in Nimbin 1973, and part of the Coordination Cooperative setting up the Tuntable Falls Community that grew out of the Festival; Ken sets up the water supply for that community on Keyline principles. The Festival organisers worked closely with the Nimbin community and it was agreed that the local community would share in any surplus created by the Festival. There was surplus and the local community decided that they wanted a swimming pool built from their share of surplus. Ken Yeomans designs and builds the Nimbin Community Swimming pool on Keyline principles – refer the round pool at the Nimbin camping ground in the photo below. It is deep in the centre and gets progressively shallower with water entering in the middle and draining through into water filters at the perimeter. P. A .Yeomans is a main platform speaker at UN Habitat ‘On Human Settlements’ Forum in Vancouver, Canada during 27th May to 11th June 1976. P.A.’s speech was entitled ‘The Australian Keyline Plan for the Enrichment of Human Settlements. Neville co-writes the paper 'Whither Goeth the Law - Humanity or Barbarity' giving an overview of the history of mediation in law and society and exploring possibilities for mediation as an aspect of humane community integral law. This paper introduces the concept ‘lawfare’ that is picked up by people in places of high power who use the term to mean something very different. Neville helps evolve the five Festivals that lead up to the first ConFest at Cotter River NSW in 1976, namely, Watsons Bay Festival, Paddington Festival, Centennial Park Festival, Cambelltown Festival and Aquarius Festival. ConFest continues as a twice annual Festival. ConFest sites are chosen for their special enabling environments. The Laceweb published Aboriginal Human Relations Magazine publishes an article inviting the Aboriginal and Islander people of Australia to attend ConFest. N Yeomans: Therapeutic Community Gatherings and Celebrations commence in Atherton Tablelands. Evolving Laceweb continues in this area. In 1978 Laceweb people, active in Fraser House in 1960, energise the Cooktown Arts Festival in remote Cooktown in Far North Queensland modelled on Neville's Watson's Bay Festival and ConFest. 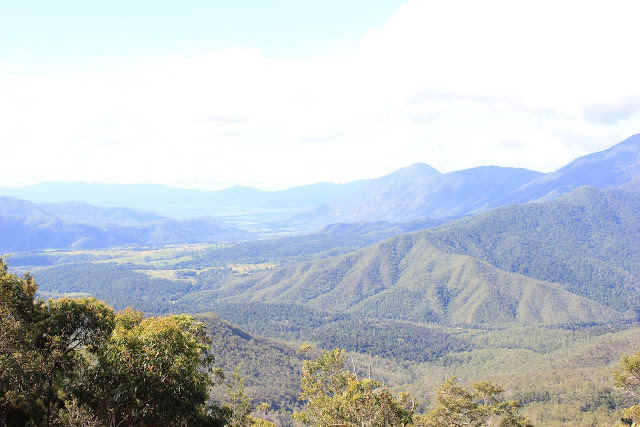 This was a time when the road between Cairns and Cooktown was rugged and filled with potholes, washouts, and covered in rocks falling from road cuttings - a hard trip to make. Cooktown at the time had 300 residents. 2,500 people attend the Cooktown Arts Festival. The program includes three three-act plays complete with stage, scenery, costumes, orchestra and lighting. One was a Chekov play – The Cherry Orchard. As well the Cairns Youth orchestra played along with swing and trad jazz bands, pop groups and a xylophone/ percussion group. Jim Cairns, Neville Yeomans and Bill Mollison (Permaculture) were speakers and workshop presenters. There was a very active workshop scene on all aspects of wellbeing. N. Yeomans acts as an enabler throughout the Australian South Sea Islander communities in Queensland and NSW and works closely with Nasuven Enares, President of the Australian South Sea Islanders United Council (ASSIUC). Neville attends national gatherings of the ASSIUC. Nasuven works for the NSW Justice Department and is active in energising community wellness. Regular experiential sharings take place at 245 Broadway. Groups of around 20 would come together to experience, Feldenkrais, Ericksonian Hypnosis, NLP and other mindbody transformational ways. The group would go across the road into a park engaging in trust and awareness experiences like holding on to the hand of the person in front and behind and going on a blindfold walk like a string of sausages and passing back non-verbal signals by gesture to the person behind you about the immediate location and nature of obstacles. We didn’t end up in the lake! N. Yeomans, Terry Widders and others enable a dispersed urban Laceweb therapeutic community (refer Program 12) evolving in the Bondi Junction area with about 145 people becoming involved - regular healing gatherings until 1989. 25 experienced Laceweb people invite 25 to join them for what was called ‘Healing Sunday. The ones invited were varied till the community, though living throughout Sydney was vibrantly networked. During Healing Sunday there was a commit to come to circle four times. Many healing modalities were shared and experienced with the protocol that anyone introducing a way took at most 90 seconds before we were experiencing the way and engaged in embodied learning and knowing. Refer ‘Evolving a dispersed Urban Community’. Internet site Accessed April 2014. http://www.tc-of.org.uk/index.php?title=P7S4-1Script. Also refer Dispersed Urban Laceweb Therapeutic Community (refer Program 12). Neville still works closely with Australian South Sea Islanders. Nasuven Enares and her team achieve many goals including working with 14 ASSI branches nationally. In 1993 Nasuven addresses the United Nations in Geneva, which attributed to the Australian Government push for ASSI National Recognition of August 1994. In 1994 Nasuven addressed the Unrepresented Nations and Peoples Organisation in the Hague. 1993 -Neville through the Mutual-help Group Mediation Matters arranges a Gathering Celebration at Lake Tinaroo on Relational Mediation. Experienced Aboriginal natural nurturer women do a 6,000 km round bus trip to attend. Neville’s son David attends as well as the Aboriginal woman who co-hosts the Small Island Coastal and Estuarine people gathering in 1994.
o A series of family therapy sessions for an Aboriginal extended family. N. Yeomans: Enabling Laceweb action commences in Darwin and surrounding regions with links to East Timor, the Timorese Sea Gipsies and Indonesia. Enabling visit to Darwin by a Laceweb enabler meeting N. Yeomans and Laceweb links. Neville energises the Rapid Creek Project that uses the decontaminating and reclaiming of Rapid Creek as a catalyst for Urban Renewal. Brian Howe Deputy Prime Minister in the Keating Government asks Neville for help based on the Rapid Creek Project. The National Government’s Department of Local Government was having at the time extreme difficulty in gaining cooperation between National, Territory, and Local Governments and Aboriginal Councils and Land Councils for road and infrastructure development. Howe saw the Rapid Creek Project as a model that may well be applied for resolving government impasses.. Dispersed Urban Laceweb Therapeutic Community continues in the Bondi Junction area. Laceweb evolving throughout SE Asia Pacific. Aboriginal, Torres Strait Islander and Australian South Sea Islander Laceweb people at the Unrepresented Nations and People Organisation (UNPO) gatherings and in UNPO and UN Human Rights working groups. 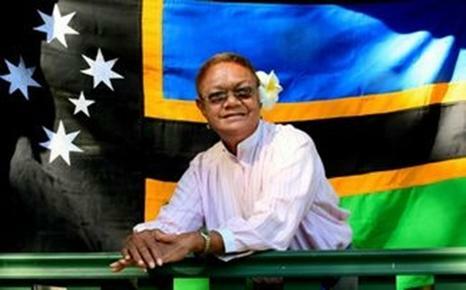 UN addressed on the plight of Australian South Sea Islanders. Terry Widders’ Masters thesis is on Chinese and Japanese minorities. Terry is conversationally fluent in Chinese and Japanese. Dr. Yeomans is an enabler mentor of Old Man Geoff Guest, and Norma at their remote Aboriginal Therapeutic Community and prison diversion farm at Petford, inland from Cairns. Neville teaches NLP and Blissymbols to Geoff and the Petford Youth. Geoff has carried out systematic literature researches and action research on nutrition. Geoff has also studied transcultural psychiatrist Professor John Cawte’s work on the devastating consequences for psychological and physical wellness that comes from eating white sugar and white flour. According to Geoff’s experience these two substances can cause of chain of dysfunction including birth defects in skull and jaw bones, other bone deformities, auto-immune deficiencies, vitamin uptake deficiencies, heart and kidney disorders and diabetes as well as behaviour disorders and learning difficulties. Geoff notes a fast difference in youth arriving at his place when their food intake does not include white sugar and white flour. Geoff is a superb horseman. He has been catching and befriending wild horses all his life and uses the horses in having the boys transform themselves. After a co-learning exchange over many months between indigenous women natural nurturer/healing storytellers and Neville, the women introduces Neville to other indigenous women who are also natural nurturers with extensive links to indigenous people across Northern Australia. For a brief description of co-learning between Neville and these other nurturers refer - An Example of Enabling Indigenous Wellbeing. o Experiencing Geoff Guest working with 25 troubled Aboriginal and Islander youth using therapeutic community self help and community mutual-help processes. Youths typically stay with Geoff around six weeks, with some staying a number of months. Geoff has been successfully working with youth for over twenty years, with over 2,000 youths passing through the community between 1987 - 97.
o Exploring the evolving and sustaining of Aboriginal and Torres Strait Islander therapeutic communities and prison diversion processes for Aboriginal, Torres Strait Islander and other youth who may benefit from the various activities, including young people who are at risk of offending and other socially disruptive or self-harming behaviours. o Experiencing using Permaculture, Keyline and Cultural Keyline processes as part of the above healing action. Aboriginals and Islanders later expressed that at the Petford Gathering key insights into 'surviving in the dominant culture' came from seeing the way some white attendees used group process in a futile attempt to impose white agendas including their demand to have a time-based fixed agenda rather than having the gathering run using Aboriginal cultural ways including context-based open-agenda with the three guiding themes detailed above. The imposers had little sense at all that they were attempting to impose dominant way. They assumed that with no fixed agenda it was ‘not organised properly’. NACADA only funded the gathering because it was being organised according to Aboriginal Cultural Ways. Aboriginal and Torres Strait Islander Drug and Substance Abuse Therapeutic Communities - A report to the National Campaign Against Drug Abuse). Through Laceweb enabling action this gathering was funded by the Federal Government's 'National Campaign Against Drug Abuse'. The Canberra funding people stated that the 14 working days it took to get money out of Canberra for this gathering was perhaps a record! N. Yeomans attended the UN NGO Rio 'Earth Summit'. Neville is a main speaker at the indigenous platform on Laceweb Healing Action, and perhaps the only non indigenous person invited to speak at that platform. Neville's is accompanied to the Earth Summit by his son Quan Yeomans, a leading member of the Australian music group, 'Regurgitator'. 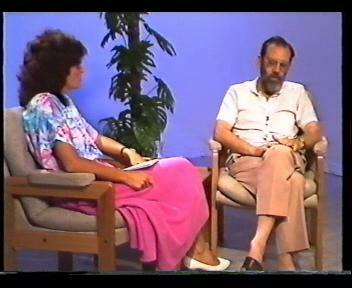 In an ABC TV interview with Gabrielle Carey, Quan describes his father's Fraser House and Laceweb work and the Rio Earth Summit as major influences on his life and music (Carey G. 1997). Gathering Celebrations in NE Australia enabled by N. Yeomans and another Laceweb enabler. · Support for Bougainville survivors of torture and trauma. Book by K. Yeomans: Water for Every Farm: Yeoman's Keyline Plan, 1993. Professor Alfred Clark in his 1993 book, 'Understanding and Managing Social Conflict' (Pages 61, 117, ) specifies the 1960-63 'Fraser House' model as being still 'state of the art' as a process for intervening and resolving social conflict within any context around the globe. Following enabling action by the Laceweb Functional Matrix Cadres, Neville Yeomans enables small gathering in the Atherton Tablelands attended by Aboriginal women healers from remote Aboriginal communities (travelling over 3,000 km). Micro-experiences and healing ways in relational and mediation therapy are shared. Neville Yeomans is supported by Enabler in sending news that ideas are evolving for a gathering celebrating of Small Island, Coastal, and Estuarine Indigenous Women and resonant others using a themes based open agenda exploring (i) humane caring alternatives to criminal and psychiatric incarceration, (ii) ways of stopping family violence, and (iii) soften alcohol and other drug abuse. This news was sent widely to global bodies and agencies. It was picked up by UN Office of the High Commissioner for Human Rights (OHCHR) who sent a letter to the effect that (i) they wanted to send a cheque for US$13,500, (ii) to send details of where to send the cheque, (iii) and to send a short report and photos of the gathering celebration. Through Laceweb enabling action, Down to Earth (Vic.) funds an Aboriginal woman (Islander) and a PNG NE woman (Estuarine) to travel down to Tocumwal in NSW. The purpose of the trip was to enrich their capacity to host Small Island, Coastal Estuarine Gathering Celebrations via experiencing ConFest and sharing and co-learning healing ways at the Easter ConFest 1994. During their ConFest stay the visitors run workshops at the Indigenous Village on Indigenous healing ways including Aboriginal Astronomy. Laceweb Enabler continues the Action Research into Keyline new soil creating processes melding these with processes evolved in the Terra Preta soils from South America. Exploring ways of producing colloidal charcoal and colloidal humus and evolving processes that may shorten down to 7 to 8 weeks what may take 8,000 years in ideal natural contexts. Also ways to have nature go into massive thrival mode generating trillions of soil organisms. Evolving ways of introducing colloidal charcoal and colloidal humus and trillions of soil organisms into degraded natural environments. Laceweb enabler invited to Thursday Island in the Torres Strait Islands to link into Laceweb action. Healing ways are shared with teachers and students at local schools and also with others during small gathering celebrations on Thursday Island, Horn Island and on a deserted Island in Torres Strait. UN funds a Laceweb Bougainville person. Following Laceweb enabling, the UN funds a Laceweb Bougainville person as a platform speaker on Laceweb Healing Action at UN NGO 'Small Island' Conference in the Caribbean. Following Laceweb enabling action, the UN Office of the High Commissioner for Human Rights funds one of the Laceweb's international initiatives - The Small Island, Coastal and Estuarine Waters People Gathering Celebration. This gathering is held on a promontory on Lake Tinaroo not far from magnificent world heritage rainforest in the wet tropics in the Atherton Tablelands and Aboriginal and Islander women are hosts. The Atherton gathering was attended by around 350 Aboriginal, Islanders and 150 intercultural healers and others invited from remote parts of Australia and the SE Asia Pacific region. People came from very remote regions in Northern Australia - especially small groups of Aboriginal women healers. For example, one group of Aboriginal women came from the remote region of North Western Australia. Of these seven women, six had university degrees and two had Masters degrees. Another group came from an outer island in the Torres Strait. These cook a magnificent underground feast for all the attendees. This Small Island, Coastal, and Estuarine Gathering Celebration is positioned as a small local follow-on to the UN NGO Small Island Conference in the Caribbean. OHCHR in Geneva had recognised the nature of the organic action energising the Small Island Gathering as well as the themes based open agenda format. Following Laceweb enabling, Down to Earth (Vic.) (DTE) provides a seeding loan for this local Small Island Gathering and also lends equipment. DTE also funds a small group of Melbourne based ConFesters to travel up to the Small Island Gathering. For six weeks prior to the Small Island, Coastal, and Estuarine Gathering Celebration, Laceweb enabling spread word about it among the ConFest-attending artistic healers of the Byron Bay hinterland. Ninety five people from the Byron Bay region - mostly extremely marginal - made it up to the Small Island Gathering. Many of this Byron group are first-timers to the Atherton region and make links with Aboriginal, Islander and intercultural Laceweb healers in the region. Many Byron Bay people now include the Atherton Tablelands, the Daintree River region and Venus Bay further North, in their regular healing sojourns. Following Laceweb enabling action, DTE (Vic.) provides support for Laceweb linkings on a number of occasions. DTE (Vic.) assists another Bougainville Laceweb person Jobson Missang to travel from Bougainville to have Laceweb briefings and exchange with a Laceweb enabler in Victoria. Jobson goes on to have key roles in the Bougainville peace process. The PNG woman who attended the Easter ConFest in 1994 hosted the Spirit of the Oceans Gathering Celebration in Townsville attended by Aboriginal and Islanders as well as Pacific Island students attending the James Cook University. Participants lived in a number of Villages, as is the way at ConFest. Throughout the 1990's Laceweb 'Enabling Micro-experiences' Gatherings of between 50 to 200 are held at ConFest. At each ConFest, over 500 people attend multiple Laceweb workshops by Laceweb enablers. These workshops are used to evolve ways of fast-tracking large groups of people into being able to use psycho-emotional healing micro-experiences - sociotherapy/sociomedicine. (Refer Wounded Healer - Wounded Group for a brief introduction to sociomedicine and sociotherapy. The large groups are also resonant with and replicating/evolving Fraser House 'Big Group' ways (refer Fraser House above). Also refer Sociograms. These processes may be used in the Bougainville context in enabling Bougainville locals in firstly building mutual-help and self-help healing networks, and secondly, in supporting trauma survivors. (Refer Cairns Safe Haven Proposal). The UN Inter-Agency Task Force Report identifies support for torture and trauma survivors in Bougainville as been a top priority in any move to normalcy. More than 160,000 people are suffering trauma. The author of that section of the UN report, a Bougainvillian, is a part of the Laceweb. His Ph.D. thesis at an Australian University is on 'Community Development Following the Restoration of Normalcy'. Neville makes a video on Neuro-linguistic Programming in Darwin. Between 1995 and 1997 a series of gatherings were held in Melbourne by Mingles called Spiral Sunday modelled on the Healing Sunday Gatherings in Bondi Junction, NSW during the late 1980s. Laceweb enabler supports wellbeing action within Australian South Sea Islander communities during the lead up to the official Recognition of Australian South Sea Islanders in the National Parliament. The Laceweb enabler is invited to be present with a number of first descendent elders at a special ceremony at Parliament House when recognition occurs; also providing support to the Australian South Sea Islander United Council (ASSIUC) and its President. A Laceweb enabler co-enables trauma support workshops at ConFest with Laceweb visitors from Bougainville. This includes experiencing a hypothetical realplay of traditional Bougainville whole village-to-whole village relational mediating. A network of healers in Hobart Tasmania invites Alex Dawia, a Bougainville healer from Cairns to be with them for a long weekend of sharing. One of them had met Alex in Cairns and had found out that he had been inducted into the traditional healing ways of his birthplace by his grandfather. Alex suggests that another Laceweb healer storyteller also come down. These two share healing ways with 45 healers including traditional Bougainville whole village-to-whole village relational mediating. The Sunday afternoon sharing was located on gentle sloping grass overlooking the Derwent River where all of the boats in the Sydney to Hobart yacht race pass by. A Hobart healer taking the Laceweb person to the a Hobart Airport shares that she and many of her work friends were in constant contact with Neville Yeomans during his Fraser House days and they adopted and adapted Fraser House ways to their work within Government Departments in Tasmania. Extensive private Laceweb briefings are held at ConFest between the Laceweb Bougainville visitors and a Laceweb enabler. A series of meetings are held in Cairns and Victoria attended by Laceweb nurturers from Bougainville and two Laceweb enablers - one a local Bougainville person. Discussion centred on evolving support processes for over 160,000 survivors of torture and trauma on Bougainville. Emeritus Professor Stuart Hill, Founding head of Ecology and Social Ecology at the University of Western Sydney interviews Neville about his and his father PA Yeomans’ Keyline work in researching Hill’s book, Thinking Like an Ecosystem - Ecological Pioneers. A Social History of Australian Ecological Thought and Action. (Mulligan, M. and S. Hill, 2001. Melbourne, Vic, Cambridge University Press). Uncles Program. Following the success of 'Uncles' based programs in the Torres Strait - where youths at risk of offending are placed with uncles for a time to experience self healing and transforming ways, Aboriginal and Torres Strait Islander Aboriginal Youth Camps are established in the Torres Strait. The camps are ongoing, residential, sea-based programs open to any young Torres Strait Islander, Aboriginal or Papuan who may benefit from the various activities, including young people who are at risk of offending and other socially disruptive or self-harming behaviours. The aim of the camps are to confirm and strengthen the young participants identity and pride in being a Torres Strait Islander, Aboriginal or Papuan, to elevate their confidence, self-esteem and respect for themselves and others, and to strengthen their cultural values and spiritual relationship with the land and sea. The Torres Strait Camps are linked to Geoff and Norma’s Youth Camp at Petford through the Aboriginal Youth Camps Association. Boys may call in at any of the camps on their way to other camps. Bougainville person commences PhD at James Cook University on 'The Application of Laceweb Self Help Healing and Other Self Help Models in Australian Aboriginal and Islander Communities'. Denmark Co-learning. European NGO funds Laceweb person to attend workshop in Denmark to share healing ways for survivors of torture and trauma. Laceweb receives letters of support from Bougainville nurturers. All the support received by Australian Laceweb enablers acknowledges the keen desire within Bougainville to link with Laceweb psycho-emotional enablers - towards building a self help support Laceweb on Bougainville for torture and trauma survivors. The Laceweb has around 16 highly experienced intercultural psycho-social healers that may be available as a small resource group. July 1997 - A Laceweb enabler commences PhD at James Cook University researching the history of the Laceweb and its beginnings in Fraser House. The Laceweb linked Bougainville Survivors of Trauma Association is set up in Cairns. The Laceweb Village at ConFest enabled by a Laceweb enabler - again about 500 people attend Laceweb work-shops on healing ways including Keyline and support of trauma survivors. Cultural Healing Artistry , processes were used in what has become known as the Pineapple Workshop. Spontaneous drama, art, storytelling, mime and many other expressive modes were embraced in exploring around 150 themes. Laceweb contributes to relaxing evening in a garden environment for all delegates to the Bougainville Peace Talks in Cairns - Jan 1998. The resonant Functional Matrix, Extegrity contacts Aboriginal and Islander groups throughout remote regions of Australia informing them of fund roving action and possibilities for funding that may flow from forming cooperative links with other resonant Indigenous, micro Disadvantaged Small Minorities and Nurturing Intercultural Groups in the SE Asia Oceania Australasia Region. Extegrity also informs potential funding bodies throughout the World of the unfolding Action. European NGO funds Laceweb person to again attend a workshop in Denmark to share healing ways for survivors of torture and trauma. Laceweb contexts set up in Atherton Tablelands region in NE Australia building links among Bougainville nurturers living in the area - The Bougainville Association hosts community building gatherings among Bougainville people in public parks and spaces around Cairns. Seventy five local Bougainville people living in the Atherton Tablelands area attend the first gathering. Ideas evolving for enriching some of these people who have expressed a desire to be fast-tracked as psycho-social healers and potential resource people for evolving lacewebs on Bougainville. In Dec 1998 a Laceweb enabler gives series of workshops on sociomedicine at the Healing Arts Festival in SW Victoria organised the Complementary Medical Unit of the Medical Faculty at Monash University. Aboriginal Elder from Mount Buffalo Region shares stories of Aboriginal networking and wisdom exchange from Antiquity with links to the Bogong moth. 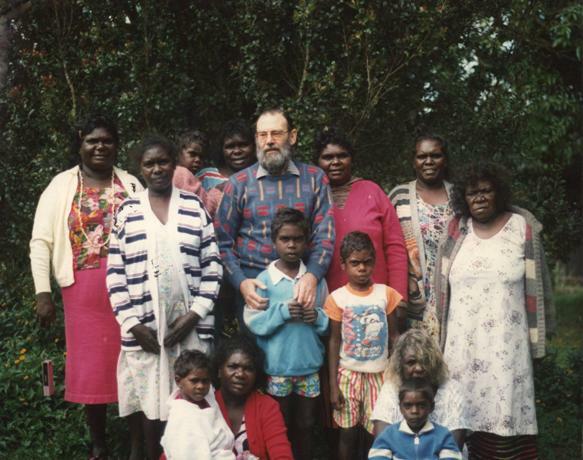 June 1999 - A Laceweb enabler has series of meetings at the University of New England with Naihuwo Ahai, a Bougainville person who had just completed his PhD resonant with Laceweb Way- 'Community Development Following the Restoration of Normalcy'. Possibilities for supporting the evolving of self help healing networks in Bougainville are explored (refer the Laceweb Paper Self-Help Action Rebuilding Well-Being). In June 1999, Laceweb organises a celebratory gathering in a park in Cairns to mark the designated UN Day for Traumatised People. Refugees from many countries attend. Nov 1999 - A Laceweb enabler has series of small sharing gatherings with Bougainville and other Islander people in Cairns as a small follow-on gathering to the Small Islander Coastal and Estuarine Peoples Gathering Celebration in June 1994 at Lake Tinaroo in the Atherton Tablelands. Possibilities of healing gatherings in the Atherton Tablelands and the Mosman Gorge are explored. A site trip to one possible venue for these gatherings was carried out with a group down from PNG. This site is also being explored as a possible place for establishing cooperative organic farming of traditional Island food as a source of funding Laceweb Action. In 2013 this site was acquired by a community group with Laceweb links. In Dec 1999 a Laceweb enabler gives six workshops on sociotherapy and mindbody healing ways at the Healing Arts Festival in SW Victoria, again organised the Complementary Medical Unit of the Medical Faculty at Monash University. In March 2000 a Laceweb enabler gave a workshop on sociomedicine at the Sixth International Holistic Healing Conference in SW Victoria promoted by the Medical Faculty at Monash University. During 17 June - 12 July 2000 the Laceweb Functional Matrix Connexion enabled a series of small Laceweb gathering celebrations in the Inma - International Normative Area - Atherton Tablelands, Far North Queens-land Australia - A month of Gathering Celebrations in support of the UN Peace Week and the 26th June UN Day in Support of Survivors of Torture and Trauma. These Intercultural Trauma Healing Gatherings were for the Sixth Anniversary of the Small Island Coastal and Estuarine People Gathering Celebration (funded by the UN Human Rights Commission). For full report on this month refer Trauma Healing Sharing Gathering Celebratings . A series of Small Trauma Healing Sharing Gathering Celebratings were held between 17 – 21 June 2000. Attendees: Aboriginal and Torres Strait Islanders, Australian South Sea Islanders, Bougainvillians, East Timorese, Anglo-German, Hmong, Irish, Japanese, North American Indian, Papua New Guinea and Anglo people. A Laceweb workshop on Cultural Healing Artistry was enabled at the Indigenous Studies Section of the Cairns TAFE College and Aboriginal and Torres Strait Islander performing arts mature age students attended. Return visit to Rainforest Healing Place by some delegates who were present at the 1994 UN funded Small Island Coastal and Estuarine People Gathering Celebration. A Laceweb meeting with a Torres Strait Islander sharing healing ways and outcomes in a community renewal program in the region. East Timorese gathering celebration - Photo Journalism display - the Aftermath. Small Laceweb gatherings with Aboriginal, Bougainvillian, East Timorese, Hmong, Papuan, and Torres Strait Islander nurturer/enablers regarding enabling self help healing networks. Laceweb Gatherings with Aboriginal and Torres Strait Islander socio-emotion-spiritual healers sharing healing ways – including self help wellbeing action in Lotus Glen Prison and Aboriginal and Islander prison diversion programs and use by one of these healers of the latest understandings in Neuro-feedback technology. A celebration reunion is enabled by the Laceweb Functional Matrix Inma Nelps, supporting the UN Day in Support of Torture and Trauma Survivors. The reunion brought together a number of the 1994 Hosting and Supporting Group for the 1994, 'Small Island Coastal and Estuarine People Gathering Celebration', as well as some of the Hosting and Supporting Group for '1992 Preparatory Gathering' for the 1994 Gathering. 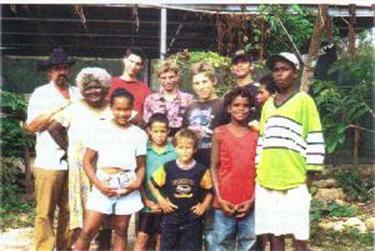 This 1992 Gathering was held at Petford Aboriginal Therapeutic Community Farm, approximately 150 Klms inland from Cairns. Around 100 Aboriginal and Torres Strait Islanders attended that ten day gathering on soften substance abuse, and stopping violence, self harm, and criminal acts leading to secure custody, psychiatric incarceration and suicide among Aboriginal and Islander youth. (Refer Aboriginal and Torres Strait Islander Drug and Substance Abuse Therapeutic Communities. A Laceweb enabler stayed at Petford Aboriginal Therapeutic Community Farm observing, and researching Geoff's processes in working with 15 indigenous youths. Experienced Geoff using nutrition and neuro-feedback equipment in treating Attention Deficit Disorder, Autism and Tourettes Syndrome. Geoff's healing ways were photographed and modelled so that they may be passed on to other Laceweb nurturers (refer page 79 on the link Aboriginal and Torres Strait Islander Drug and Substance Abuse Therapeutic Communities. The Laceweb Functional Matrix Nexus Groups energises meetings towards evolving the 22st Anniversary of the Cooktown Arts Festival in the coming months. These meetings were attended by the enabler/hosts of the first and only Cooktown Arts Festival in 1979. 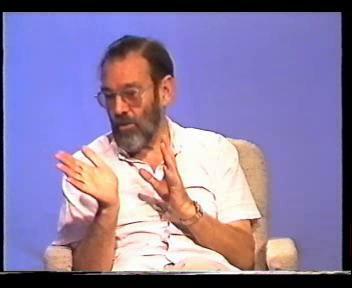 Dr Neville Yeomans, the founder of the Laceweb, and the Laceweb Functional Matrix Connexion, was also involved in the energising of the first Festival. 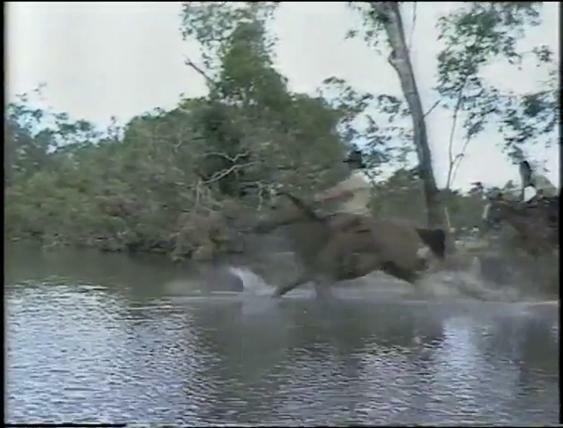 In 1979, around 2,500 attended from a vast area around the very remote Far North town of Cooktown. The Festival included a number of plays, a wide range of music, youth orchestras, puppetry and aboriginal ceremonial dance. A trip was planned to travel up to Cooktown to survey potential festival sites, energise a hosting group and set up seed funding processes. A series of Laceweb meetings with a participant in Fraser House, the pioneering first Therapeutic Community in the Laceweb (1959-69); researched healing ways used at Fraser House – (refer Fraser House earlier on this page . Townsville - a series of gatherings exploring action research; Laceweb meetings with a Fraser House outpatient; Laceweb enabled gatherings with Aboriginal and Torres Strait Islander, Australian South Sea Islander and Papua New Guinea people on evolving self help wellbeing networks. Atherton Tablelands. Further preparatory gatherings enabled by Connexion energising the 2001 Cooktown Arts Festival. Laceweb enabler exploring archival material on the evolving Laceweb. Further discussions between Laceweb indigenous and intercultural enablers regarding evolving the Laceweb in the Cape York and Torres Strait Islands region. Laceweb reunion and discussion/research between ex-Fraser House staffers (anthropologist/ psychologist, senior charge nurse and psychologist). Laceweb enabler had discussions with Dr Yeoman's family on early Laceweb action. Laceweb enabler had talks with Aboriginal Laceweb person on Laceweb action around ten years ago and exploring implications for the future. Following Laceweb postings re natural nurturers as a naturally occurring phenomenon, Un-Inma enabler invited to a meeting in Bangkok, Thailand on supporting local folk engaging in mutual help towards wellness following man-made and natural disasters. From that gathering Un-Inma Enabler funded to travel through, East Timor, Indonesia, Thai-Burma border regions, Cambodia, and Vietnam as well as through Indigenous communities in Cape York, Australia. Enabler locates 240 Natural Nurturers and 49 networks of Natural Nurturers in the Region. UN-Inma Enablers preparing the document Interfacing Alternative and Complementary Wellbeing Ways For Local Wellness. Enabler prepares resources for energising Natural Nurturers in the Region into small teams capable firstly, of mobilising quickly to move into post disaster contexts to find and support local Natural Nurturers, and secondly, of sending back to some mainstream coordinating disaster relief agency/ies every few hours a steady stream of succinct informative briefings on local disaster/post disaster contexts, including the presence, locations, and ways (if safe to do so) of local natural nurturers and their psychosocial-cultural healing ways, resources, competencies, networks, and capacities. In this way scope may emerge for First world agencies engaging in disaster areas without collapsing local way and capacity. UN-Enabler and Laceweb folk link with 49 Natural Nurturers in the Philippines countryside from 11 countries (Australia, Cambodia, China, East Timor, Indonesia, Mongolia, Papua New Guinea (Bougainville), Philippines, Vietnam, West Papua, and Western Samoa). This gathering, co-hosted by the UN-Inma Enabler, explores and fine-tunes the resources evolved by the UN-Inma Enabler. Field testing these resources and processes (consistent with the above Interfacing document) in the War Zone around Pikit in Mindanao in Southern Philippines. While in the remote countryside outside Mai Sot in Thailand a visiting Laceweb Person from SE Australia is speaking to the receptionist at a small hospital used by Burmese who have sneaked across the border from Burma into Thailand. Upon the Laceweb person saying that the purpose of the trip was to find local natural nurturers a voice comes from the next room saying, ‘someone out there knows Dr Neville Yeomans!’ The speaker turns out to be a nurse from Shepparton in Country Victoria who knew Neville and his work and had been introducing Neville’s ways firstly in Shepparton, then in the hospital in Mai Sot,. Writing up the 2002-2004 of UN-Inma experience of Laceweb linking with the natural nurturers of the SE Asia Oceania Australasia Region through Cape York in Australia, Dili and Bacau in East Timor, Jakarta and Bali in Indonesia, Thai-Burma Border Regions, Cambodia, Saigon, Mekong Delta, and Hanoi in Vietnam, and Pikit, Mindanao in the Philippines war zone. Also writing up the linking between 49 healers from eleven countries in the SE Asia Oceania Australasia Region in the Philippines countryside to share healing ways especially local variations of Cultural Healing Artistry. Weaving together 130 stories from life that provide glimpses of the healing Way used in the Region. These form two volumes that complement the four volume biography of the life of Dr Neville Yeomans. These six volumes together form a reservoir of resources as entry points into Laceweb Way and complement the Laceweb Internet site. Alex Dawia, a Bougainville person receives Yachad Scholarship to pursue study in Israel at Tel Aviv University to investigate grassroots community capacity building with a particular focus on assisting disadvantaged Youth and those who have been through the Justice system. Alex is also an Honorary Professor at a Japanese University lecturing on Aboriginal Community Justice. Consistent with Extegrity, Laceweb people work with over fifty highly experienced people from a number of countries - many professors and other academics and industry professional advisors in evolving a significant macro-model global program titled the Fertile Futures Program. This Program explores capacity, resourcefulness and resilience among grassroots folk using Laceweb loco-lateral processes and the Extegrity Framework for Reconstituting a Collapsed Society. The Program action research embraced the local grassroots natural nurturers of the Program host country. They contemplated, discussed, and reflected upon what would be five major culturally and geo-socially fitting community-owned and operated enterprises (with initial mentoring and support). Running alongside these would be complementary grassroots cooperatives and small landholder initiatives. Also in parallel was community-based enterprise funded humanitarian action towards increasing community wellness. The local natural nurturers were quick to respond with priority foci and fields of action. With donated support from the advisors, a very detailed Excel Program Document was developed facilitating and enabling every aspect of the associated infrastructure rollout, as well as enterprise set-up and community based management for the first five years. The Excel document also includes comprehensive insurance schedules for all activities and cash drawdown schedules and funds flow projections for the first five years. The accompanying documentation set Extegrity protocols for all humanitarian rollout and full transparency and tight accountability for funds. The assumed Program Funding: Aus$380 million. The Excel spreadsheet has 67 pages, many that extend right and down massively. All the back pages are cross-linked and connected to the front executive summary pages. Any adjustment of figures or assumptions ripples through the document so it’s a modelling, planning, scheduling, reporting, controlling, management document. The 1997 version of Excel ceased to work as the file exceeded that version’s capacity. This is a glimpse of Laceweb capacity. Capacity on the margins. Below are the integrated aspects of the Program. Following Neville Yeomans 1973 paper On Global Reform INMA, humanitarian types from the SE corner of Australia have been visiting the healing networks of the Atherton Tablelands and hinterland INMA (Inter-people Normative Model Area) linking with and supporting Laceweb networks and community based bodies through that region. Supporting Bougainville people return to wellness following the Conflict in the 1980’ and 1990’s. Supporting the local folk affected by the 2009 Victorian bushfires engaging in mutual help wellness action. 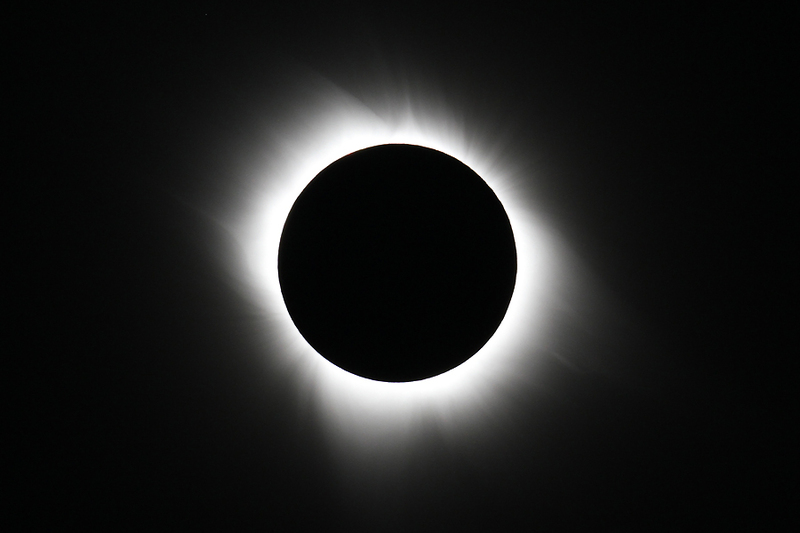 Small group of Laceweb people travel 1000’s of kilometers to share the total eclipse with Laceweb people in the Atherton Tablelands, selecting a healing retreat located on the edge of the Tablelands with the view of the eclipse over the rainforest. Laceweb Action being pickup by various bodies in the UK linked to Enabling Environments, Therapeutic Communities and Greencare, with Laceweb Way being explored as a way of supporting folk with mental strife in low and middle income communities and countries around the world. Videos providing a snapshot of Laceweb Action in the SE Asia Oceania Australasia Region being shown to a Global Psychiatry Conference in the UK as possible models for supporting 100s of millions of people in low income countries affected by war, conflict and other man-made and natural disasters. Writing up the rollout that continues to flow from social relating generated by Dr Neville Yeomans and his nurturing friends from the 1950’s onwards. Networking continues sharing rumours of what works through the East Asia Australasia Oceania Region and further afield. This Timeline has provided a small glimpse selected from the massive number of happenings over the years. Healing Artistry for wellbeing has involved thousands. One estimate is that there has been well over 400,000 attendances at various Laceweb festivals, gatherings, events, celebrations, dinners, workshops and other happenings over the years. Grassroots healers from countries right through the Region are involved. Many of the seminal pioneering contributors have sadly died. Their magnificent pioneering work is acknowledged. While mentioning seven Professors, many more professors, doctors and other academics have been involved and donated their experience and time. Bruen W. 1968. Problems in the Evaluation of a Therapeutic Community - A Five Year Fraser House Follow-up. Bulletin of the Division of Clinical Psychiatry. Vol. 1, Feb.
Carlson J. & Yeomans N. 1975. Whither Goeth the Law (From litigation to Mediation) in 'The Way Out - Radical Alternatives in Australia'. Smith M. & Crossley D (Eds.) Melbourne: Landsdowne Press, Page 155. Carey G. 1997. Australian Story Sydney: ABC Books, (Chap 181-192). Cawte, J., 1974. Medicine is the Law: Studies in Psychiatric Anthropology of Australian Tribal Societies. University Press of Hawaii. Cawte, J., 196. Healers of Arnhem Land. UNSW Press, 1996. Clark A. W. & Van Sommers P. 1961. Contradictory Demands in Family Relations and Adjustment to School and Home. Human Relations. 14, Page 97-111. Clark A. W. 1967.Conditions Influencing Patient Response to Treatment in a Therapeutic Community. Social Science & Medicine. 1, Page 309-319. Clark A. W. 1993. Understanding and Managing Social Conflict, Melbourne: Swinburne College Press, (Pages 61, 117). Franklin M. 1995. Assimilation in Action - The Armidale Story. Armidale: University of New England Press. Hansell N. 1970. Book Review - Fraser House - Theory, Practice and Evaluation of a Therapeutic Community. Archives of General Psychiatry. Vol. 22, Page 380. Hirschowitz R. G. 1971. Book Review - Fraser House - Theory, Practice and Evaluation of a Therapeutic Community. Social Science and Medicine Journal, Vol. 5, Page 514. Iceton N. 1969-98. The Social Developers Network Private Archive Collection. Armidale, NSW. Iceton, N, 1970-78. The Aboriginal Human Relations Magazine. Sydney: Connexion, Volumes 1-60. (Held by Australian National Library, Canberra). Jones M. 1953. The Therapeutic Community New York: Basic Books. Kamien M. 1978. The Dark People of Bourke - A study of Planned Social Change. Canberra: Australian Institute of Aboriginal Studies. Laceweb, 1997a. Laceweb - Healing The Mindbody. Laceweb 1994. Report to the UN Human Rights Commision on the June 1994 SE Asia Pacific Small Island, Estuarine and Coastal Waters People Gathering Celebration in the Atherton Tablelands, Australia. Laceweb, 1992. Aboriginal and Torres Strait Islander Drug and Substance Abuse Therapeutic Communities - A report to the National Campaign Against Drug Abuse. Madew L., Singer G., & MacIndoe I. 1966. Treatment and Rehabilitation in the Therapeutic Community. The Medical Journal of Australia. 1 Page 1112-14. Manning N. 1976. Values and Practice in the Therapeutic Community. Human Relations, Vol. 29, Page 135. Ng M. L., Tam Y. K., & Luk S. L. 1982. Evaluation of Different Forms of Community Meeting in a Psychiatric Unit in Hong Kong. British Journal of Psychiatry, Vol. 140, Page 491. Trauer T. 1984. The Current Status of the Therapeutic Community. British Journal of Medical Psychology. Vol. 57, Page 74. Watson J. P. 1970. The First Australian Therapeutic Community - Fraser House. British Journal of Psychiatry. Vol. 117, Page 109. Yeomans K. 1993. 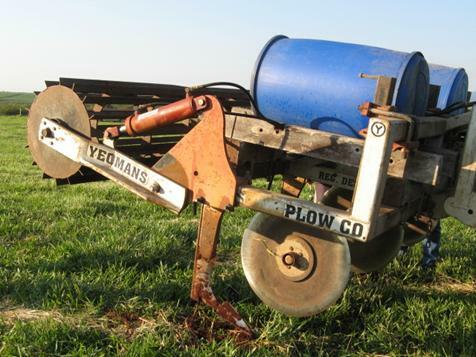 Water for Every Farm: Yeoman's Keyline Plan. Surfers Paradise: Keyline Publishing. Yeomans N., et al 1995 Governments and the Facilitation of Community Grassroots well-being Action. A discussion paper sent to RHSET, Department of Health Canberra. Yeomans N. 1973.On Global Reform and International Normative Model Areas . Thesis prepared for Degree in Law: University of New South Wales and for the Australian Humanitarian Law Committee. Yeomans N. 1969-73 Submissions to Justice Evatt and Justice Mitchell through the Divorce Law Reform Society of NSW on Divorce Law reform. 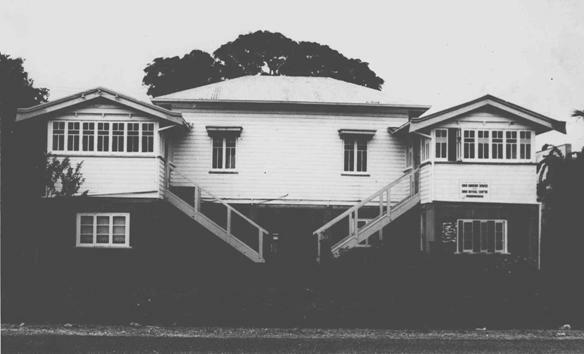 Yeomans N. 1965.Collected Papers on Fraser House and related healing Gatherings and Festivals Mitchell Library Archives, State Library of New South Wales. Yeomans N. (1961) Notes on a Therapeutic Community Part 1 Preliminary Report Medical Journal of Australia, 2 Sept, Vol 48 (2), pages 382-384. Yeomans N. (1961) Notes on a Therapeutic Community Part 2. Medical Journal of Australia, Vol 48 (2), 18 Nov, pages 829-830. Yeomans N., Clark A. W., Cockett M., & Gee K. M. 1970. Measurement of Conflicting Communications in Social Networks. British Journal of Social and Clinical Psychology Vol. 9, Page 275-281. Yeomans P. A. 1976. Paper to the United Nations 'Habitat' Conference in Canada - On Human Settlements' Canada. Yeomans P. A. 1971. The City Forest: The Keyline Plan for the Human Environment Revolution.' Keyline Publishing. P A Yeomans 1965. Water for Every Farm. Murray Publishing. P A Yeomans 1958. 'The challenge of Landscape: The Development and Practice of Keyline.' Keyline Publishing. P. A. Yeoman 1955. The Keyline Plan. Yeoman's Publishing. Wilson P. 1990. A Life of Crime. Newham, Victoria: Scribe, (Chapter 6).